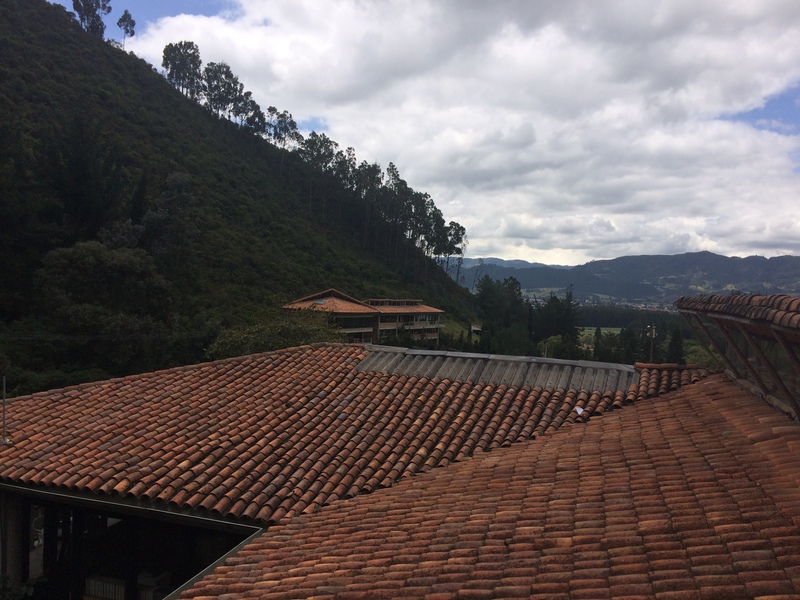 This is the second part of a report made by Meena Pankaj Malhotra and Senada Jusic on their study visit to Colombia. It is the eleventh article in a series of blogposts and reports on all study visits made for the project “Dealing with the Past in History Education”. In this project civil society actors from different backgrounds, visit schools and institutions in countries that are struggling with a difficult past. For the first part of this report, please click here. During our visit to Colombia, we learned that there are a number of ways and methodologies that are being used across the country to deal with the violent past. The theme across all methodology is to keep memory alive so that it never happens again. Here museums have a very important role to play to not only institutionalize memory but also to put structures in place that transform individual memories into collective memory. One of the most important projects of the Centro Nacional de Memoria Historia is the plan to set up a museum. Land has already been acquired for this purpose and a call for the museums architectural design has been sent out. Catalina Orozco, through her presentation, explained in detail the plans and the pedagogical approach that the museum will use to educate citizens about Colombia’s violent past. Catalina spoke in great detail about the very interesting project Volver La Mirada/ Look Back. This is a very layered project where the process of dealing with the past happens in an extremely systematic manner. It involves every aspect of society from the individual to the entire community, and also includes the layered approach of several positions: victims, perpetrators, students and so on. The pedagogical function of the museum promotes the creation of a community that understands the past and seeks to transform the present. It reflects on the conditions that made the Colombian armed conflict possible and the responsibilities of the actors who promoted it. It criticises the use of violence and sensitizes citizens to issues of violation of human rights while adapting a participatory approach to the defense of life and liberty, democracy, equity, and respect for difference. One of the most important goals of this project is to educate for non-repetition. This is long term work and the process seeks to understand cultural and intergenerational dimensions from the position of various diverse actors. In order to achieve this long term goal, connections between museum, family, school, organisation, and media is essential. The priority prevent the repetition of violence. Learning for non-repetition is an approach that has two dimensions: emotive and analytical. The emotive approach uses art and the analytical approach uses historical memory. These diferent aproaches then lead to interdisciplinary research. These conceptual guidelines define the museum content, the languages, the educational programming, the activities, and the principles of interaction. The exhibitions serve as a social space shared with family, friends, and colleagues, facilitate different approaches towards disseminating information, reach out to different audiences in different ways, taking into account the various ways to build knowledge create intellectual, emotional and sensory experiences, offer the opportunity to engage visitors in everyday life, connect to a variety of sources that allow multiple readings, and offer a moving and mobilizing experience. However the challenge with exhibitions as a medium of educating about the past is the short duration of interaction. Hence it is important to build motivation before and after activities around the exhibits. Catalina then shared with us how they plan to counter this challenge and maximise the depth of experience for the exhibition visitors. The plan is to appoint educators and mediators at the museum. These will include victims to sensitize and inspire empathy and local interpreters to translate and establish identities thereby linking the worlds of the exhibits and the visitors as well as artists to bring creativity to the entire process. One of the highlights of our study visit was meeting and interacting with Vera Grabe Loewentherz who founded Observatorio de Paz in1996. Vera Grabe Loewentherz was a member of the Guerilla group M19—the only urban guerilla group and one that was formed by highly educated and intellectual people. Here we were interested in listening to two perspectives—the personal and the professional. We requested Vera to narrate her story and the journey of the organization she founded. In 1990 M19 surrendered arms, and Vera initially was a member of Congress in the parliament. Later she became a part of a group for human rights at the Colombian embassy in Spain. 1996 was the turning point when she began to focus all her energies towards peace building and peace education. Having seen first-hand the breakdown of an ideology she firmly believed and the damage that it left in its wake, she now very passionately believes in promoting and invests all her energies into promoting peace. The journey from ex guerilla to peace builder has not been an easy one, she said. But she has been determined and also thought it was necessary to acquire an education on peace building so she first earned a PhD in the subject before commencing her work in this area. Observatorio de Paz works with women in the villages and remote rural areas that were deeply affected by the armed conflict by using the powerful medium of the arts to intervene and educate the community on the values of peace. Their approach is very different, Vera says. They look at the entire process through a reverse lens by looking at conflict and violence from the spectrum of peace. She is opposed to teaching conflict and violence. “Teach peace,” she says, and through the teaching of peace, understand the context of conflict and violence. Very often in memory work we focus too much on the negatives—it is important to focus on all the perspectives. Observatorio de Paz’s runs several projects, most of them with ex guerilla soldiers and victims. The goal is to develop the understanding that although their backgrounds and vantage points are different, they share the same issues and problems particularly pertaining to Colombian society, simply by virtue of being women. This approach helps in building an initial connection within the group. The other important issue they deal with is the circumstantial nature of life and the fact that we all may be compelled by circumstances to play multiple roles. The perpetrator can easily become a victim too! Understanding the fact that conflict and violence affects every single person in the community helps in making an individual’s role more meaningful in the work for peace. Observatorio de Paz uses diverse methods and tools in dealing with the subject of violence—different games, role play, and other activities rooted in the powerful medium of theatre. The well designed and thought out process has several steps: conflict is studied as a scientific phenomenon, the difference between conflict and violence is understood, and the final step is teaching peace. This process is followed up by active engagement in the community. Role play invokes empathy and helps overcome self stigma. Another important pedagogy is reconstruction. Individuals are asked to reconstruct their lives on a timeline in small groups. This helps in acknowledging other life stories, comparing them with their own, and creating bonds. Another very important process is the use of Japanese pottery, exploiting the therapeutic powers of working with clay. In groups of 30, women work together to make pottery products which are then exhibited. The intergenerational approach involves the sharing of life experiences, a cleansing process which is called “Irene” after the Greek Goddess of Peace. The aim here is to overcome prejudices and gain self respect and respect for each other. Observatorio de Paz runs Peace Schools that are approved by the Ministry of Education and award their students a Bachelor degree in Peace Studies. These schools are very flexible. With their foundation based on peace, they work on preventing violence especially within violent families. Observatorio de Paz has covered a very wide rural area with their work, but there are challenges. The most important one being funding and impact assessment. Arts intervention is a process that brings about a very deep change in individuals and society, but it is also a process that is slow, takes time, is intangible and hence difficult to assess in short durations. One very tangible outcome is the fact that the women Observatorio de Paz has worked with have become active within their communities helping take the organisations work further. Their active involvement with peace building and peace education is proof of success. Inspired by their work, we enquired about the possibility of their pedagogy becoming a state policy in the future. Vera is quite cynical about that because she feels the state focuses on signing peace treaties rather than working on transforming attitudes of violent culture in society.Introducing these methodologies through the education system is also difficult because of the decentralized nature of the education policy in Colombia. This concludes the the report of a study visit to Colombia made by Meena Pankaj Malhotra and Senada Jusic. This study visit has been a part of the project “Dealing with the Past in History Education”, supported by the Robert Bosch Stiftung. For more information on this project, please visit the project page.